Eliminates riser flex and reduces weight while maintaining structural integrity. The BearTrap Limb Pocket combines the strength of our metal pocket with the integration of a zero-tolerance boot. The HingeGuard consistently reduces lateral torque at all draw weights using mechanical displacement and adds forgiveness in the shot. Designed to evenly distribute load across the entire limb surface which optimizes the geometry for extremely efficient performance. 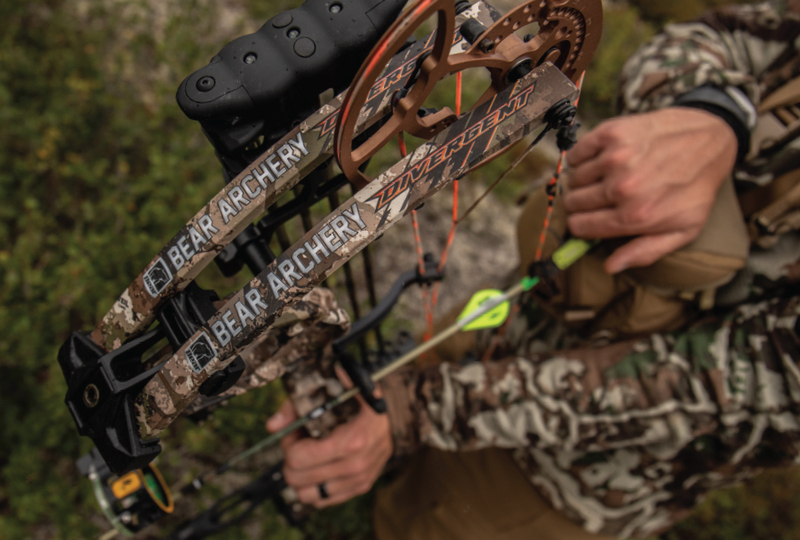 Fitting your hand precisely, archers can repeatedly achieve consistent hand placement to ensure an accurate shot every time while reducing torque. This bow comes in both a left and right handed version.